In its simplest definition, Diabetes mellitus is a glucose metabolism disease. It is the body’s inability to maintain blood glucose levels primarily due to improper insulin release by the pancreas. This results in abnormal metabolism of carbohydrates and elevated levels of glucose in the blood and urine. The CDC estimates that over 100 million people in the U.S. population have either Diabetes or Prediabetes (1), which we will refer to as the metabolic syndrome. The rapid increase in “sugar-dysfunction diseases or SDD” most known as diabetes mellitus or hypoglycemia (diabetes insipidus) in conjunction with the explosion of obesity is the #1 health concern of the U.S. and many “Westernized Societies” as discerned by the WHO (World Health Organization). Diabetes is rapidly eroding both quality and quantity of life in a most explosive manner costing us many billions of dollars in the process. Sadly, according to “An Evaluation of Research in the U.S. on Nutrition” and many subsequent research compilations it is one of the “easiest” degenerative diseases to prevent and correct naturally. Of course, this means that you must know what to do specifically for your unique body to which BioCorrect Nutrition™ is most devoted; the “War on Unwellness.” What sugar does for you both bad or good is simply based on your metabolic capacity to utilize it in a most balanced, stable and consistent way. Applied correctly, sugars should enhance health promotion causing no disease-promoting disturbances to the life processes within. The major problem here is that few people read food ingredient labels. Man-made sugars such as high fructose corn syrup and sucrose have invaded the American food supply to unprecedented levels, which in turn affects availability and utility of necessary protein, fat, mineral and vitamin sources in the diet. Compounding the problem, these man-made sugars can only be processed by the liver. When sugars overwhelm liver metabolism, all enzymatic and hormonal processes across the body are affected. This is why the BioCorrect Nutrition™ Analysis and “Knowing What Your Body Needs” is paramount to good health. The details of how the controlling forces behind this vital phenomenon takes place is in more technical detail below, the essence of which is getting just the right amount of sugar in the right spots at the right times while not overloading the entire system. In Diabetes and Nutrition: Part 2, we will cover sugar metabolism, minerals in metabolism, the glycemic food index and diet. NOTES: glycogen is also known as “animal starch”, ATP is the energy chemical which drives all cellular processes…etc. Type 1 diabetes is often referred to as juvenile, juvenile onset, insulin-dependent (IDDM) or autoimmune-mediated diabetes. It typically manifests itself before the patient reaches the age of 20 years, where the patient becomes insulin-dependent as the pancreas no longer makes insulin. In Type 1, the patient’s autoimmune system produces an autoimmune response that attacks and destroys the beta-cells of the pancreas which produce insulin. More recently, it was reported that “most patients with long-duration type 1 diabetes continue to secrete very low levels of endogenous insulin, which increase after meals. This is consistent with the presence of a small number of still functional beta cells and implies that beta cells are either escaping immune attack or undergoing regeneration” (3). It generally represents 5% of the total US diabetes patient population (1, 2). Type 2 diabetes is referred to as “non-insulin dependent diabetes mellitus” (NIDDM) or “adult-onset diabetes.” Patients with Type 2 diabetes have what is often referred to as insulin resistance when first diagnosed. These patients have a pancreas that has lost the ability to properly release insulin to regulate blood glucose levels and activate the liver’s metabolic enzyme production to burn glucose properly. In Type 2 patients with insulin resistance, mitochondrial phosphorylation is reduced by 30% versus normal subjects (4). This phenomenon suggests that the normal hormonal signaling between the pancreas and liver may be compromised. Oral medications and significant lifestyle changes are often required to help regulate bloomore d glucose levels. 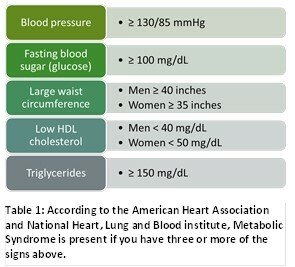 Type 2 patients often experience secondary symptoms like hypertension, which is an indicator of heart inefficiency. Many patients report side effects from the oral diabetes medications meant to help control glucose regulation. At some point, many Type 2 patients lose the ability to produce insulin and become insulin-dependent, requiring daily insulin injections. Type 2 diabetes represents 90-95% of the diabetes population and the world’s population is rapidly expanding (1, 2). According to the CDC (1), prevalence of the disease in the U.S. is estimated at 30.3 million people (23.1M diagnosed, 7.2M undiagnosed) or 9.4% of the U.S. population. Sadly, the CDC estimates that 28% of people with diabetes don’t know they have the disease. Many don’t find out until they experience one or more severe diabetes complications, visit the hospital for a diabetes-related disorder or high blood glucose levels are identified during routine health check-up. An additional 33.9% of the population is estimated to have prediabetes (84.1M) with the potential that 11% of that prediabetic population may become diabetic each year (2). The precursor to Type 2 diabetes has been called prediabetes, insulin resistance, Metabolic Syndrome and Syndrome X over the years. It is associated with depressed glucose metabolism, less energy and loss of normal blood glucose control. Prediabetes is the state that occurs when a person’s blood glucose levels are higher than normal but not high enough for a diagnosis of diabetes. Normal fasting blood glucose is below 100 mg/dl. Prediabetes is often identified as Impaired Glucose Tolerance or Impaired Fasting Glucose (IGT/IFG), when the normal fasting blood glucose is between 100 and 125 mg/dl. If the fasting blood glucose level rises to 126 mg/dl or above, a person has diabetes. An insulin test may also be done when an individual has or is suspected of having insulin resistance. The elevated fasting insulin is a hallmark of insulin resistance, where insulin may be elevated even when a fasting glucose is normal or slightly elevated. This may include people with type 2 diabetes, polycystic ovarian syndrome (PCOS), prediabetes or heart disease, or metabolic syndrome (5). The metabolic syndrome is often associated with excess fat around the waist specifically, improper diet and inadequate exercise. The American Diabetes Association reports that people with prediabetes can delay or prevent the onset of Type 2 diabetes through lifestyle changes. In the United States, this prediabetes category represents 33.9% of the total US population or roughly 84 million patients. Prediabetics have a 1.5-fold risk of cardiovascular disease compared to people with normal blood glucose. The good news is that improving one’s diet and exercise regimen can delay or avoid prediabetes and consequently Type 2 diabetes. Diabetes is an insidious, long-term chronic disease that robs patients of both quality of life and generally 5-10 years of lifespan. While Type 1 typically occurs in children and symptoms may evolve rapidly, Type 2 diabetes often goes undiagnosed for 5-10 years before symptoms become apparent to the patient. Nearly all of these complications can be traced to improper metabolism, and occur despite the use of insulin to maintain blood sugar control. The main complications caused by diabetes are heart disease such as heart failure, myocarditis and myocardial infarction, stroke, peripheral artery disease (PAD), kidney disease, retinopathy and blindness, neurological disease, improper wound healing and amputations, and gastroparesis which is a neuropathy affecting the movement of food through the stomach and intestine (2). There are three primary sources of glucose in the blood stream: 1) ingestion of food (primarily carbohydrates), 2) gluconeogenesis in the liver (producing glucose from lactic acid, fatty acids and amino acids), and 3) glycogenolysis primarily from the liver (breaking down stored glycogen into glucose). Blood glucose levels are stabilized by two primary hormones, insulin and glucagon; plus a number of hormones and peptides including amylin, GLP-1, glucose-dependent insulinotropic peptide (GIP), epinephrine, cortisol, and growth hormone that effect tertiary glucose management. Of these hormones, insulin and amylin are derived from the beta-cells of the pancreas, glucagon from the alpha-cells of the pancreas, and GLP-1 and GIP from the L-cells of the intestine (6). Insulin has been the primary hormone for treatment of diabetes for nearly 100 years since a crude porcine extract was first used to treat a very sick 14-year old boy with Type 1 diabetes in 1922. While Insulin has a key role in blood glucose regulation, as a hormone it plays important roles in triglyceride synthesis, enzyme phosphorylation and mitochondrial phosphorylation (ATP production). Insulin is released by the healthy pancreas in high concentration pulses directly into the portal vein every 4-6 minutes with elevated blood glucose and at approximately 5-7 fold higher levels (50-100 microunits/ml (basil level) than observed in peripheral circulation (~12 microunits/ml) (8). Up to 70% of insulin produced by a healthy pancreas is absorbed by the liver as part of the hormonal biofeedback system. The remainder flows into the blood stream to support glucose transport into the cell and other processes. In a non-diabetic, the release of postprandial (after a meal) insulin is noted with a first phase spike of insulin followed by a slower and broader release of insulin with continued glucose elevations. 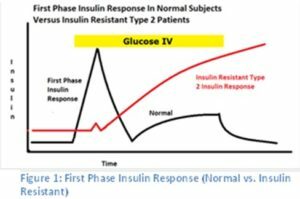 While insulin is often produced by the insulin resistant patient/diabetic, they lack a strong first phase insulin response which is typical in healthy subjects (9, 10, 11, 12). Without this strong first phase insulin release with oscillating insulin pulses, the liver fails to receive the signal to produce enzymes and cofactors for aerobic oxidation by the mitochondria. Interestingly, insulin resistant patients progressively lose the ability to produce this first phase insulin release over time with the pancreas attempting to compensate by producing more and more insulin. Eventually, their pancreas loses the ability to produce insulin requiring insulin therapy in some patients. As mentioned earlier, insulin’s actions are far more complex than control of blood glucose levels alone. Catabolic hormones like insulin work through activation of protein kinase A and the ensuing phosphorylation of key enzymes. Insulin activates protein phosphatases and dephosphorylates these enzymes (Table 2). Some of these are activated by phosphorylation, other are inactivated through the same mechanism. Insulin activates glycogen synthetase and pyruvate dehydrogenase, and inactivates phosphofructokinase 2 and hormone-sensitive lipase (16). Glucose uptake by muscle and fat cells is dependent upon activation of glucose transporter type 4 (GLUT4) by insulin. GLUT4 permits the facilitated diffusion of circulating glucose down its concentration gradient into muscle and fat cells. Glucose uptake and GLUT4 activation fails when insulin secretion or the body’s responsiveness to insulin (insulin resistance) is no longer coupled to blood glucose levels. After reduction or loss of the insulin signal, liver gluconeogenesis progresses in spite of high blood glucose levels. In the words, the body reacts as though glucose is not even present. To meet this “perceived low glucose” crisis, lipolysis and hepatic gluconeogenesis are activated by glucagon, growth hormone and catecholamines. Massive amounts of fatty acids are released to the circulation and the liver converts these to ketone bodies as the body is unable to utilize glucose. The high blood glucose levels lead to diuresis with loss of water, sodium, potassium and glucose, while the “ketone” build-up (actually carboxy acids) leads to a pronounced drop in blood pH (16). In the worst cases, ketoacidosis can lead to diabetic coma and death if left untreated. Glucose produced in the liver flows from the liver into general circulation. Glycogen is the body’s way of storing glucose for later use, and is primarily stored in the liver. Although most tissues have the ability to hydrolyze glycogen, only the liver and kidneys contain glucose-6 phosphatase, the enzyme necessary for the release of glucose into the circulation (6). In the diabetic state, there is inadequate biofeedback suppression of glucagon excretion following a meal resulting in elevated liver glucose production (both gluconeogenesis and glycogenolysis). Notably, administering insulin by syringe or insulin pump is unable to both restore normal insulin pulse concentrations to the portal vein and to suppress glucagon secretion inside the pancreas as glucose levels rise. This results in an abnormally high glucagon-to-insulin ratio in the portal vein and liver that favors the release of glucose from the liver. Insulin and glucagon effect blood glucose control by decreasing or storing “blood” glucose levels (insulin), or increasing “blood” glucose levels by releasing glucose stored as glycogen or synthesizing glucose from lactic acid, fatty acids and amino acids. The peptides GLP-1 and GIP are incretin hormones that work in concert with insulin and glucagon. Both GIP and GLP-1 are stimulated by ingestion of a mixed meal or meals enriched with fats and carbohydrates. GIP is the more potent hormone of the two and stimulates insulin secretion and regulates fat metabolism, but does not inhibit glucagon secretion or gastric emptying (6). In the pancreas, GLP-1 stimulates insulin secretion and suppresses postprandial glucagon secretion. GLP-1 slows gastric emptying, reducing the availability of glucose and other nutrients from the intestines following a meal. While GLP-1 is significantly reduced postprandially in those with type 2 diabetes or impaired glucose tolerance (6). One can demonstrate that insulin resistance is linked to incomplete insulin signaling following the work of Dr. T Aoki and his pulsed insulin treatment (13, 14, 15) with Type 1 diabetics. Both Type 1 and Type 2 diabetic patients lose the ability to properly burn glucose and rely more and more heavily on lipid metabolism for energy. Aoki explained that the liver was getting insufficient signal from the diabetic pancreas, and was unable to “turn on” enzyme production (“For induction and maintenance of insulin-dependent fuel-processing enzyme synthesis… …the hepatocytes require a defined insulin level (200-500 μU/ml in the portal vein) concomitant with high glucose levels…”) (13). This glucose/lipid metabolic phenomenon is easily measurable using a standard metabolic cart by measuring the resting respiratory quotient (R/Q). By pulsing insulin intravenously every 4-6 minutes and at concentrations in the portal vein approximating a healthy pancreas, he was able to “wake up” the patient’s liver. The diabetic patient could be shifted from abnormal lipid metabolism to glucose metabolism as the liver got the correct signal from the “IV pulsed insulin.” The moral of the story is that insulin resistance is not that cells lose sensitivity to insulin; rather it is improper insulin delivery that causes the inability to synthesize and activate enzymes to metabolize glucose properly. All the many severe diabetic complications are symptoms stemming from the same glucose metabolism issue. In Part 2 of Diabetes and Nutrition, we will cover sugar metabolism, minerals in metabolism, the glycemic food index and diet. Learn more about how to rebalance your vitamins and minerals to naturally improve carbohydrate metabolism by referring to your BioCorrect Nutrition™ Analysis (BNA) report or order your BNA today. The BioCorrect Nutrition™ Analysis is a medically-proven, clinical laboratory test that measures 36 trace and toxic minerals in a patient’s hair sample; which correspond to an individual’s biochemical and metabolic status. With these test results; a personalized food and supplement plan is designed to safely biocorrect each person’s unique biochemistry into metabolic balance by eliminating the excesses and building up the deficiencies. Stop Guessing… It’s In Your BNA! Song SH, McIntyre SS, Shah H, Velhuis JD, Hayes PC, and Butler PC. Direct Measurement of Pulsatile Insulin Secretion from the Portal Vein in Human Subjects. J Clin Endocrinol Metab. 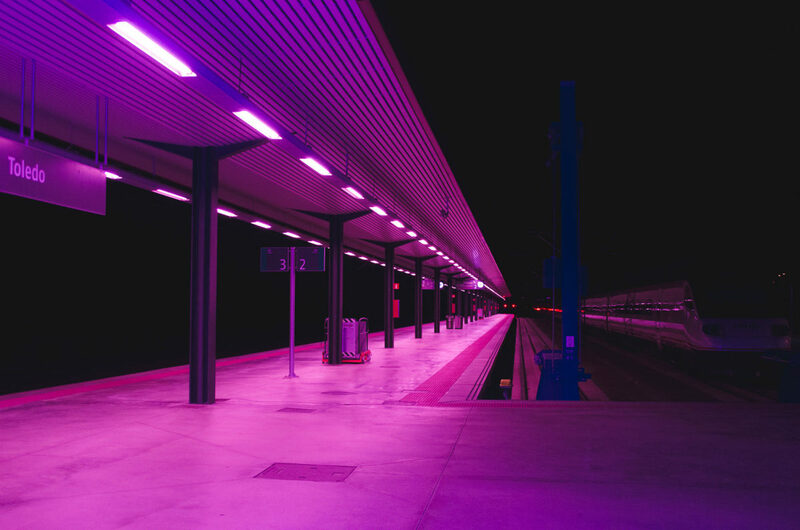 85(12): 4491-4499. Pørksen N, Hollingdal M, Juhl C, Butler P, Veldhuis JD, Schmitz O. Pulsatile insulin secretion: Detection, regulation and role in diabetes. 2002;51 Suppl 1:S245–54. Schmitz O, Rungby J, Edge L, Juhl CB. On high-frequency oscillations. Ageing Res Rev. 2008;7:301–5. Caumo, A., Luzi, L. First-phase insulin secretion: does it exist in real life? Considerations on shape and function. Am J Physiol Endocrinol Metab. 2004;287:E371–E385. Aoki TT, Grecu EO, Arcangeli MA, Benbarka MM, Prescott P, and Ahn JH. Diabetes Technology & Therapeutics. July 2004. Chronic Intermittent Intravenous Insulin Therapy: A New Frontier in Diabetes Therapy. 3(1): 111-123. Aoki TT, Grecu EO, Gollapudi GM, Barber AR, Arcangeli MA, Benbarka MM, Prescott P, and Meisenheimer R. EFFECT OF INTENSIVE INSULIN THERAPY ON PROGRESSION OF OVERT NEPHROPATHY IN PATIENTS WITH TYPE 1 DIABETES MELLITUS. 1999. Endocrine Practice. 5(4): 174-178.